Most of us want to do what we can to be eco-friendly, but we don’t always know the best ways to go about it. If I’m being honest with myself, I know that on any given day, I’m probably getting a C+ in sustainability. I still print single-sided documents sometimes. I don’t recycle every single time. And I just started to compost, which means I’ve gone decades throwing food scraps in a landfill. Before today, I never really sat down and thought about my use and abuse of resources and what it means for future generations, which is, what sustainability is all about. Adopting a more sustainable lifestyle requires breaking old habits and forming new ones. And just when you think you’re doing okay at it in your personal life, you might discover that your company isn’t as committed to environmental justice as you’d like. 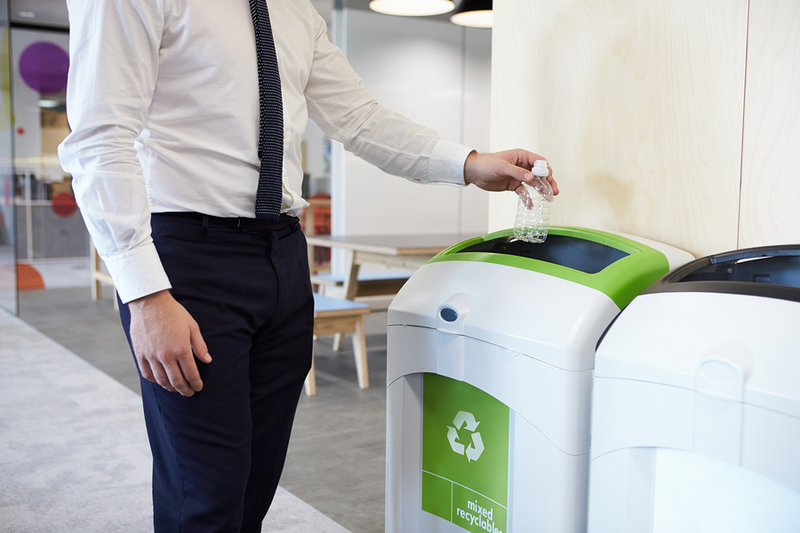 Recycling bins can be hard to locate or nonexistent, plastic cutlery can be found in the breakroom, and colleagues might have a habit of leaving the lights on in every meeting room. To get a better sense of sustainability in the workplace, I sat down with Kelsey Smith, a sustainability program coordinator at University of the Pacific. Kelsey’s background in waste management (landfill diversion, recycling, and compost) allows her to coordinate and oversee a range of sustainable programs and events for the campus community. On any given day, Kelsey manages an eco-friendly fashion show, leads waste diversion efforts at large-scale events, and runs a kitchen co-op for students to cook healthy meals together. Whenever possible, bring your lunch to work in a reusable container. “Hard plastic [containers] are good, glass is definitely good, and stainless steel I’d say is the most sturdy and long-lasting,” Smith says. No matter which you opt for, reusable containers will eliminate wasteful food packaging like that wax paper from your favorite lunch spot, styrofoam to-go boxes, and even aluminum foil (which is super hard to break down). And the next time you’re at your favorite coffee shop, bring a reusable mug. Coffee cups aren’t always recyclable, and their waxy lining makes them extremely difficult to compost. So, instead of having your barista fill you up in the store-provided cup, bring your own. You might even get a discount! When you leave your office bathroom, break room, and your personal workspace, make sure to turn off the lights. It may sound simple (and obvious), but it can be easy to forget when you’re not the one paying for the electricity. Office parties can be extremely wasteful with party plates and plasticware likely to end up in a landfill. The next time you’re on the office party planning committee, use real plates and dishware. If this isn’t an option, incorporate compostable plates, cups, and napkins, which will eventually break down. Bonus: Add a compost bin to your party for guests to dispose of their veggies, fruits, grains, and soiled biodegradable paper products. You can follow these composting guidelines for the workplace and select a compost facility or local garden to drop off your compost. 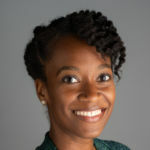 Zahida Sherman is a diversity and inclusion professional who writes about culture, race, gender, and adulthood. She is a history nerd and rookie surfer.